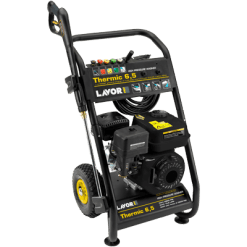 The THERMIC9 petrol pressure washer from Lavor has a Loncin 9HP Petrol motor linked to an Industrial rated crankshaft pump. 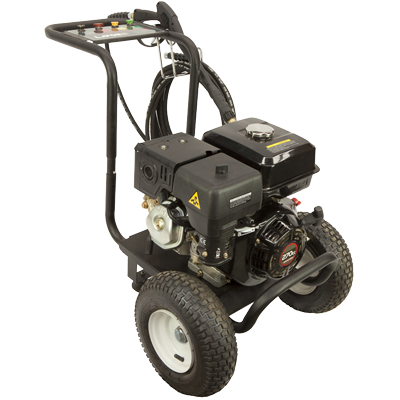 This produces 15 litres per minute at 3000 PSI Operating pressure. 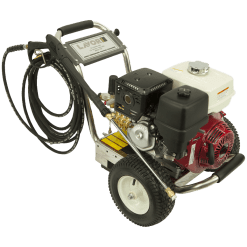 As a result, this is ideal for the user who wants performance and longevity from a mid range Industrial pressure cleaner. Standard accessories include an industrial gun, spray lance and turbo nozzle. Also included is a 10 metre, steel braided high pressure hose. 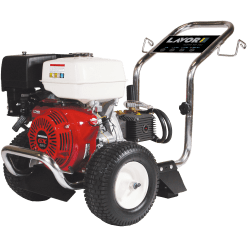 In conclusion, the Lavor Italian made crankshaft pump is ideal for the mobile tradesman, weighing in at only 40kg. 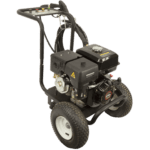 For those who want a bit more performance and flowrate from a machine, this cold water pressure washer will stand up to a bit of work.